A review of the Texas Directors Health Insurance Company finds instead the Texas Directors Life Insurance Company, which does not sell health insurance. 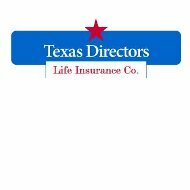 The Texas Directors Life Insurance Company website is simply the company’s logo and address, with no further information about products, agents, claims, customer service, or anything useful if you are looking to compare their insurance rates. Instead, you can simply put your zip code into the search box on this page and we would be happy to provide you with a selection of health insurance rates from several providers in your area. According to the Texas Department of Insurance, the Texas Directors Life Insurance Company was acquired by Government Personnel Mutual Life Insurance Company (GPM Life) in November of 2010. GPM Life sells life insurance products, Medicare supplementary coverage, and final expense protection. GPM Life is located in Texas, at the same mailing address as Texas Directors Life Insurance Company. If you’re interested in hearing more about policies from Texas Directors Life Insurance and GPM Life, you can also fill out the web form available on GPM’s website under the “Contact” tab. As you might have guessed, a retired Army Colonel founded the Government Personnel Mutual Life Insurance Company. In 1934, P.J. Hennessey had a desire to help protect all members of the military, and founded the company to insure even those service members that died in wars. Four years later, Blanche Hennessey became GPM Life’s president, making her the first woman president of a U.S. commercial insurance company. The company was progressive, especially for its time. As the years went on, GPM Life also added policies for Federal Civil Service employees, and then any civilian, along with their families and dependents. The company has experience and knowledge of government benefits, along with the more typical retirement planning and estate conservation information. It also pioneered the use of government allotments to pay insurance policy premiums. The Government Personnel Mutual Life Insurance Company’s products and services are available in all states, except for New Jersey and New York. If you’re interested in a particular product that they sell, it’s best that you call the company or locate an agent using the online tool. Click on “About GPM Life” and then on “Locations” to find the Find an Agent tool — it’s hidden pretty well on the company website. GPM Life sells universal, whole, and term life insurance policies, with different rates and benefits based on the individual’s information. Options are available for terminal illness, waiver of premium, and children’s insurance. The company also has three options available for its final expense plan, which helps pay the funeral expenses upon your death, as well as gift funds to your loved ones and favorite charities. These options are a whole life insurance policy with modified benefits, graded benefits, or simple issue. GPM Life also offers Medicare Supplement insurance for Plans A-G, and K-N. Check to see if this is available in your state, as some are excluded. GPM Life is always looking for agents to join the company, especially those with both military and industry experience. The company provides competitive commissions and an advanced sales system. If you are interested in representing GPM Life, you should fill out and send the online form. The Government Personnel Mutual Life Insurance Company currently enjoys an “Excellent” rating of “A-” from insurance industry rating company A.M. Best. A. M. Best has also given GPM Life an issuer credit rating of “a-,” which is also excellent. Additionally, the insurance company’s outlook was given a “stable” rating, which is a good indicator that the company will continue to pay policyholder claims and benefits for years to come. The Better Business Bureau has had almost no problems with GPM Life in San Antonio, with only two complaints since 2008. The BBB has had a file on GPM Life since 1961 and, even after fifty years, it has given GPM Life a grade of “A” for its handling of the complaints, longevity, etc. According to the Texas Insurance Department, GPM Life has only one complaint filed with them in 2009. This is one complaint out of 23,688 policies. Chances are, from all of this data, that you would be satisfied with the products and services from GPM Life. Health insurance coverage is important! Don’t go without it another minute. Instead, put your zip code into the free toolbox below and pick one of the companies whose health insurance rates we list for you!